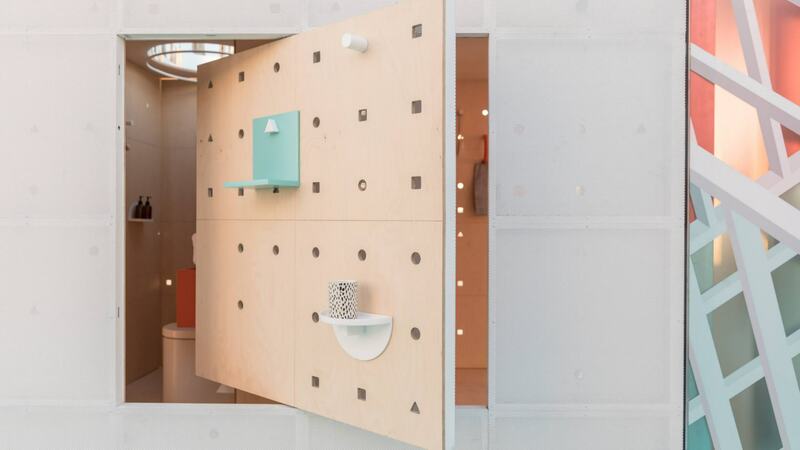 Car giant Mini makes small things ingeniously great – so it was only a matter of time before it steered its attention to the architectural trend of micro living with its new Mini cabin. The Mini Living Urban Cabin is currently on tour, creating temporary homes in London, New York, Los Angeles, Beijing and Tokyo. Each cabin starts with the same 15 square metre footprint, which ‘shapeshifts’ in design, reflecting the city it travels to. Mini is cleverly collaborating with local architects, to make sure each design represents what makes the local area unique. And what we especially love about the latest version in Los Angeles, designed by local firm Freelandbuck, is the use of a perforated metal facade which encloses the entire cabin. The aim of the LA design was to connect inhabitants with nature, as the people of LA love the outdoors. 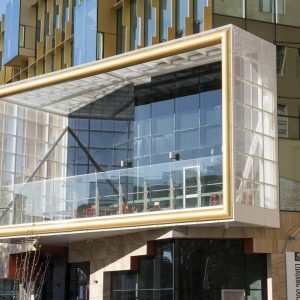 The perforated metal facade creates a clever dual inside-outside aspect. 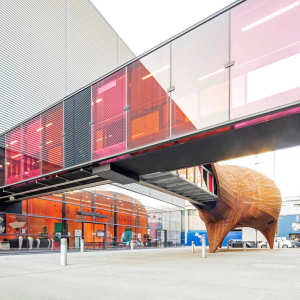 Portholes are cut into the interior wooden walls, so light shines through in the daytime and glows out at night, whilst walls move, rotate and change. Natural light has always been an issue for micro living, when precious wall space can’t afford to be given up to the luxury of large windows. 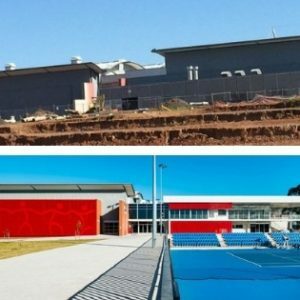 The use of perforated metal means that light play is maximised, whilst still maintaining privacy. 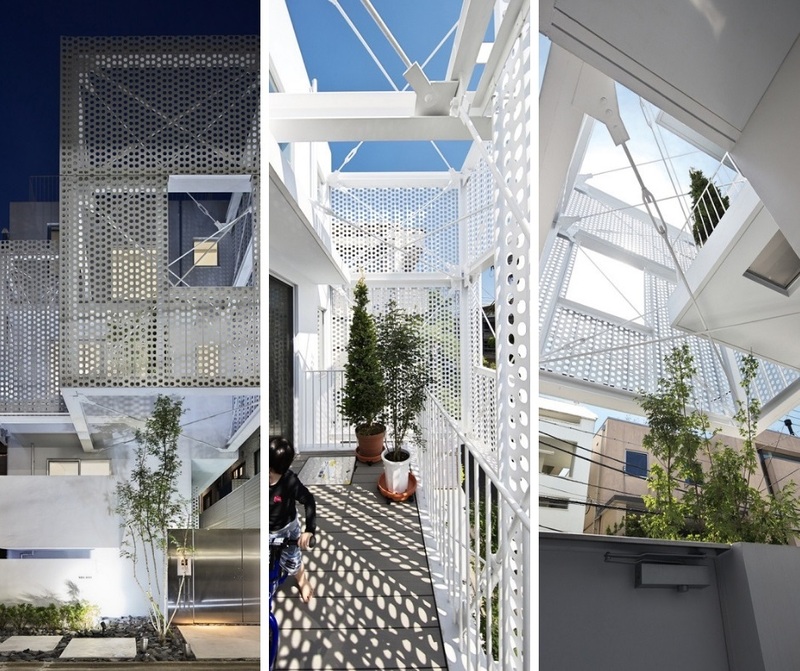 Tokyo architects Hiroyuki Moriyama & Associates used perforated metal to overcome the privacy and light challenges of building a compact micro apartment block in a narrow space. The five residential properties sit on a plot measuring just seven metres wide and 20 metres deep, but each apartment enjoys views, ventilation and secluded outdoor space thanks to perforated metal screens. 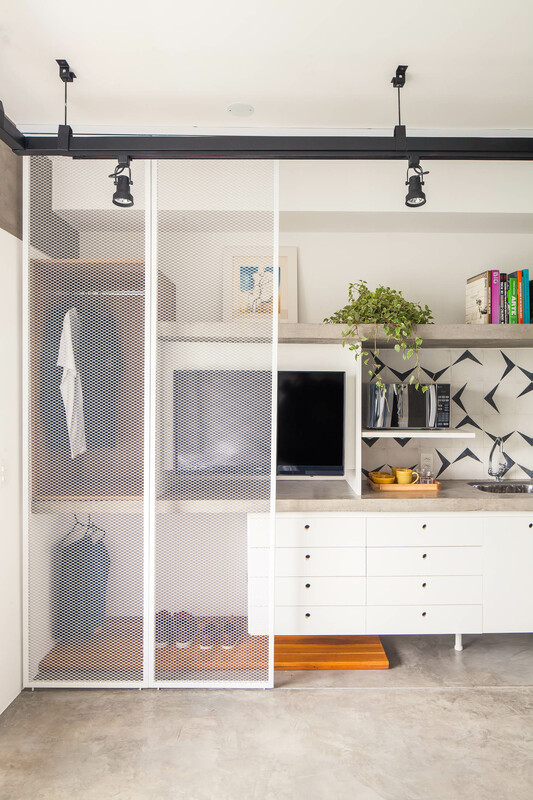 Micro living architects are also increasingly using perforated metal as a way to section off spaces in the tiniest of apartments, creating the perfect balance of privacy and light. 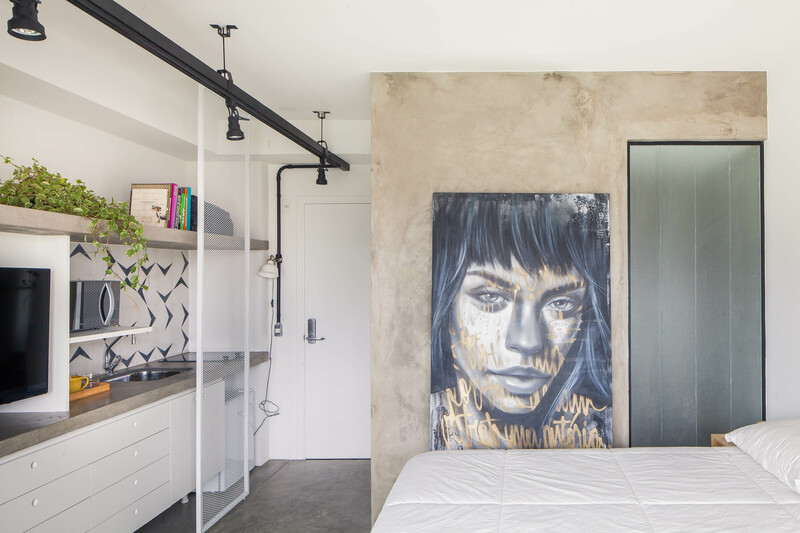 Take a look at this compact home in Sao Paulo, designed by Brazilian studio Casa 100 Architecture. Perforated metal screens slide across to separate living areas in the small yet spacious-feeling 24 square metre space. If you’re creating compact spaces, talk to the Arrow Metal team to incorporate perforated metal into your design. 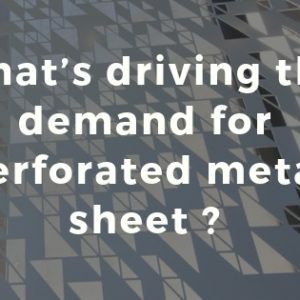 From standard perforations to custom bespoke perforated metal sheets, we’ll collaborate with you to bring your micro living project to life. Chat to us on (02) 9748 2200 or send us an online enquiry.